Around this time last year, I announced Silent-ology’s Flapper Month, a full month dedicated to 1920s flapper culture and its prominence in Hollywood films. That was a big hit, so this year, I decided to have a “companion” theme in the form of–Sheik Month! So what do I mean by “sheik”? Stemming from the popularity of Rudolph Valentino’s desert romance The Sheik (1921), “sheik” became a 1920s slang term for a handsome, desirable man. In time, it evolved to mean the kind of fashionable young swell who hung out with flappers–the male counterpart of the flapper, if you will. The sheik was a stereotype just as familiar to 1920s society as the flapper, but there’s very little discussion of him compared to the latter–so I’m going to dive in! 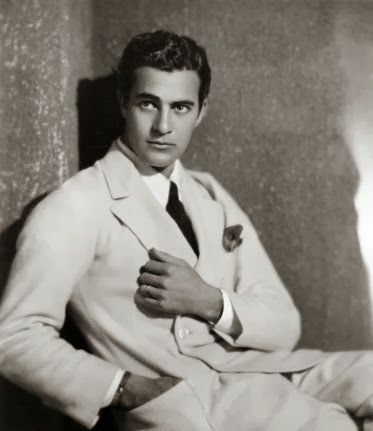 Plus, you know, it gives me an excuse to study the most swoon-worthy of Jazz Age actors. I think I’m okay with this. So please pay Silent-ology a few visits over the coming weeks as we take a closer look at sheik culture. It should be a fun 31 days!! This entry was posted in Uncategorized and tagged John Gilbert, Latin lovers, Ramon Novarro, Rudolph Valentino, Sheik Month, sheiks, silent drama, The Sheik by Lea S.. Bookmark the permalink. This is going to be good! Sheik, rattle and roll!